Nursery settings are naturally full of energy, excitement and activity taking place, often numerous activities at anyone time. 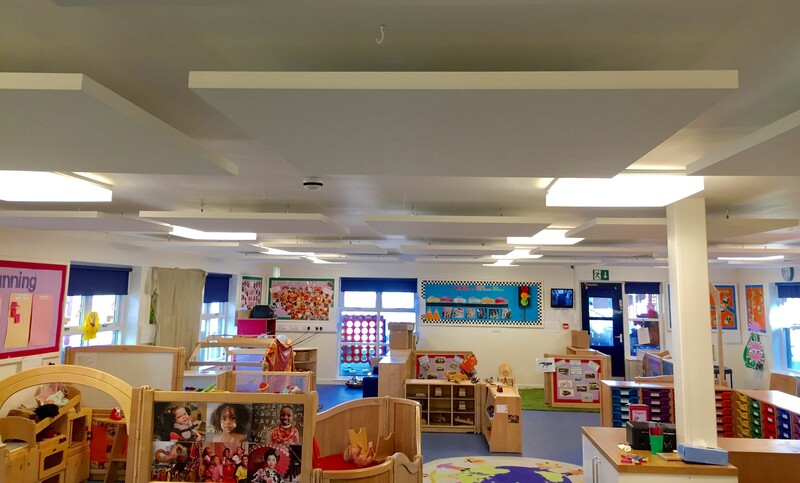 With a mix of the children, staff and parents in the nursery throughout the course of the day can lead to a space that requires a variety of communication needs. Burmatofts community nursery in the heart of Leeds has up to 58 children from the age of 6 months to 4 years and provides an environment that is happy, safe and stimulating for the children to learn, play freely and feel secure and confident. It was noticed that the noise levels in the nursery, especially during the busier periods made for a sometimes difficult place to be. Communication between the staff, children and visitors could be a real challenge. Although the nursery is full of soft toys and rugs its hard surfaced ceilings, floors and walls made it extremely reverberant. Sound traveled throughout the nursery and this created a stressful environment at times. 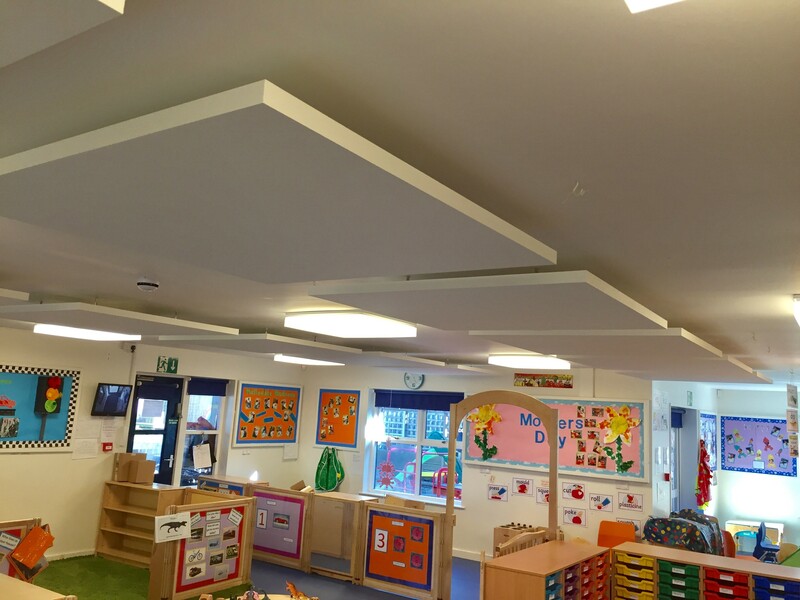 Husht Acoustics carried out a thorough sound assessment, reverberation calculations giving a before and after estimation and then recommended the use of Ecophon Solo Squares throughout certain areas of the nursery.